Attached hero gains the Ranger trait. Response: After you play Doughty Ranger from your hand, draw a card. 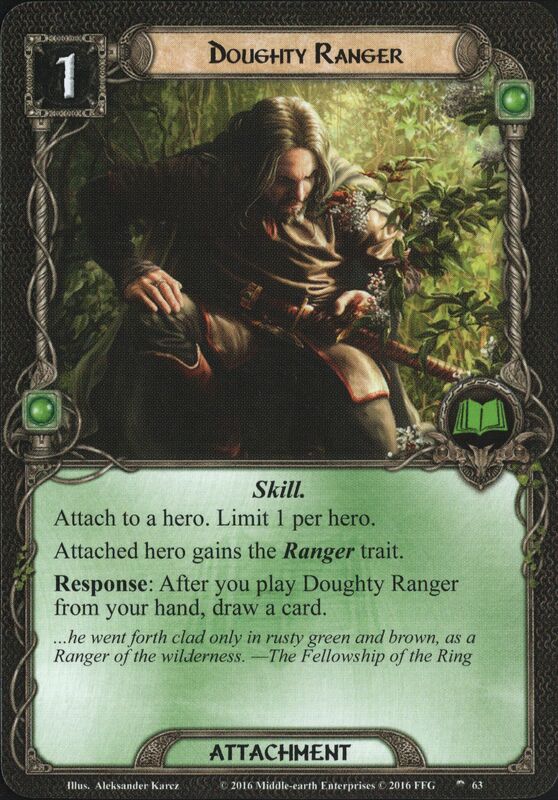 ...he went forth clad only in rusty green and brown, as a Ranger of the wilderness.